Jasmine is a very small white flower with a unique and pleasant fragrance liked by one and all. 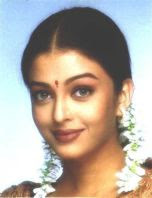 In India, women make strings of these lovely flowers and adorn it in their hair. These flowers are also used to make garlands, especially to be used in Indian weddings and also in temples for the worship of deities. 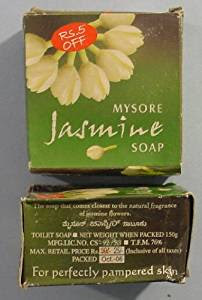 Jasmine also known as “mallika” in Sanskrit and “mallige” in Kannada, is cultivated in almost all parts of India and in Karnataka state, mainly, and is exported to the Middle East countries. Some studies and research have also shown that it has anti-cancerous properties and that blood cancers and solid tumours respond well to ‘jasmonate’, a synthetic compound derived from jasmine flowers. Prof Eliezer of the Tel-Aviv university is hopeful that a drug based on ‘jasmonate’ may be available soon. Pamper your body with the goodness of jasmine and sandalwood through this awesome natural soap manufactured by the state owned ‘Karnataka soaps and detergents’ - the ‘Mysore Sandal’s Natural Jasmine soap’, which has the most delightful and long-lasting fragrance. Thanks for this post, Aparna...I know next to nothing about Jasmine, even though I have a vine in my garden. I love the scent, but it is very strong and has to be some distance from me. I knew none of the medicinal properties though! Jasmine flower is mainly worn in the hair of ladies for its beauty and fragrance. Further it is used for flower decorations, in marriages and important functions.